Oh yeah, the “I get knocked down” song. I remember that one. Wasn’t that by Chumbawamba, or something like that? 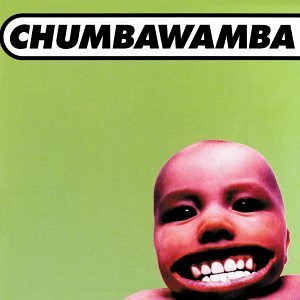 I guarantee that if you are a product of the 90s (like me) you took one look at the purple baby with the huge mouth and thought of taking a “vodka drink” and a “whiskey drink.” Chumbawamba’s 1997 classic “Tubthumping” left an indelible mark on our impressionable minds for better or for worse. While some argue that the song is trash, I’m here to defend its merit as one of the better one-hit wonders. First, Chumbawamba. Did you know that the band was active for 30 years before breaking up in 2012. 30 years. Yes, that means the British punk band had been together for 15 years prior to the release of “Tubthumping.” Many forget – or didn’t know – that Chumbawamba was a protest band at heart. Most of the band’s music focused on issues like animal rights, class struggle, and feminism, etc. – the word “tubthumper” is used to describe someone who often jumps on the bandwagon with populist ideas. Thus, the band’s cumulative lyric is far more deep than “He sings the songs that remind him of the good times. He sings the songs that remind him of the best times.” But, it is the simple lyric of the late 90s mega-hit that helped draw so many listeners in. As a group of talented musicians, though, they could not resist the temptation to sample a few Easter eggs for the careful listener. The “Danny Boy” reference is explicit, but at the end of the song the trumpet samples Clarke’s “Prince of Denmark’s March.” But, let’s be honest, the reason the song gained such immense popularity was because of its repetitive, punk-fueled chorus that proved to be beyond infectious. I can’t imagine many who have not hummed the beat to themselves during the reading of this post. And that is why “Tubthumping” should be praised. The song has tremendous lasting power. Some may consider that feature to be a grand part of its “annoying” factor, but I think that earworm power cannot be overstated. Plus, come on, it’s not like many songs today that lay down a simple percussion track and a catchy synthesizer riff to maximize catchiness and listens. There are legitimate elements to “Tubthumping.” Enjoy! Categories Song of The Day, The Spirit in the Sky - One Hit Wonders!